The following are detailed specifications about the 15-Watt Compact Fluorescent Light Bulb. Medium base with white globe cover. 2700K color temperature 82 CRI Average rated life of 6000 hours. 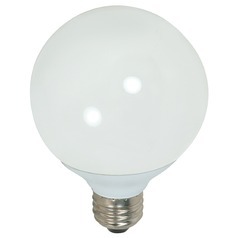 Energy Star qualified.Equivalent to 60-watts incandescent. 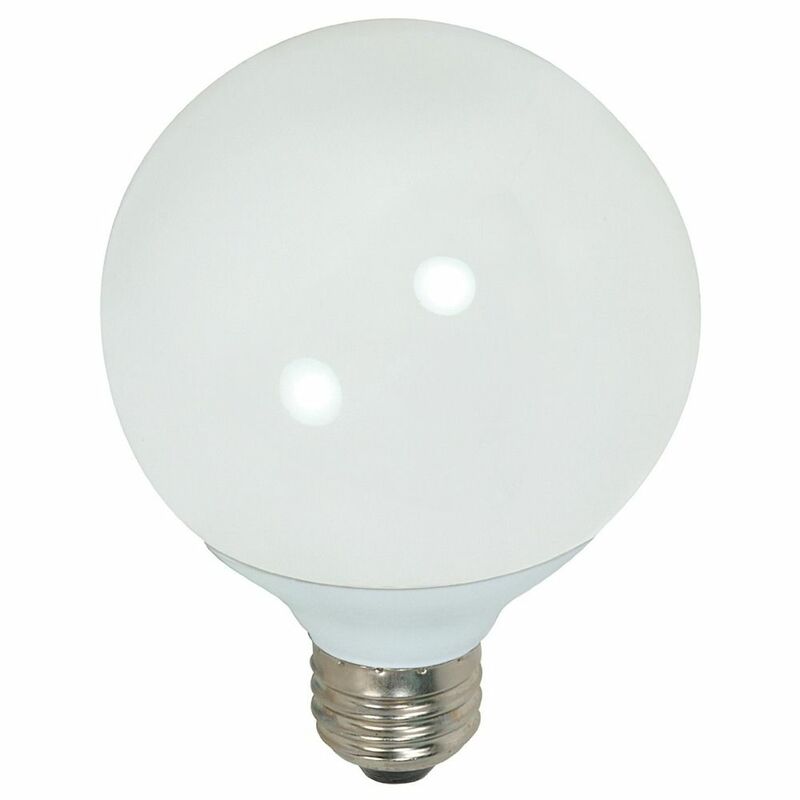 This fixture meets strict Energy Star Qualified requirements. Energy Star Qualified is a government-backed program dedicated to promoting products that reduce greenhouse gas emissions. This organization assists individuals and businesses in the identification of energy efficient products. Visit www.energystar.gov for more information. This product, or component of this product, contains mercury. Do not place in trash. Please recycle or dispose of in a certified hazardous waste facility. Satco is known as a premier supplier of many different lighting products. The Satco brand light bulbs are sold by over 8,000 lighting show rooms and electrical distributors. Over the years, Satco has established a great reputation amongst lighting professionals. Can't find what you're looking for? Give us a call at 1-800-653-6556 or send us an email at customerservice@destinationlighting.com and we'll help you find the product. With our 14 physical stores and close relationship with our manufacturers, we are able to provide accurate answers faster than other online retailers. This 15-Watt Compact Fluorescent Light Bulb is part of the $item.xCollectionName Collection from Satco Lighting. The following items are also part of the $item.xCollectionName Collection.